September 11, 2001 changed the world. Corporate air travel has been affected forever. Private Motorhome USA can offer a safe alternative to commercial air travel for your next business trip. You can now go with us and relax in a spacious Luxury Motorcoach for your next corporate business trip. 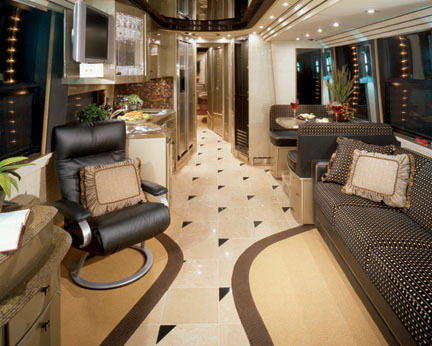 With our motorcoaches you can make those regional trips with your associates (up to 10) in comfort. You can sit back and relax, read a book, watch TV, take a nap, study a proposal. enjoy a cocktail, or eat a bite. 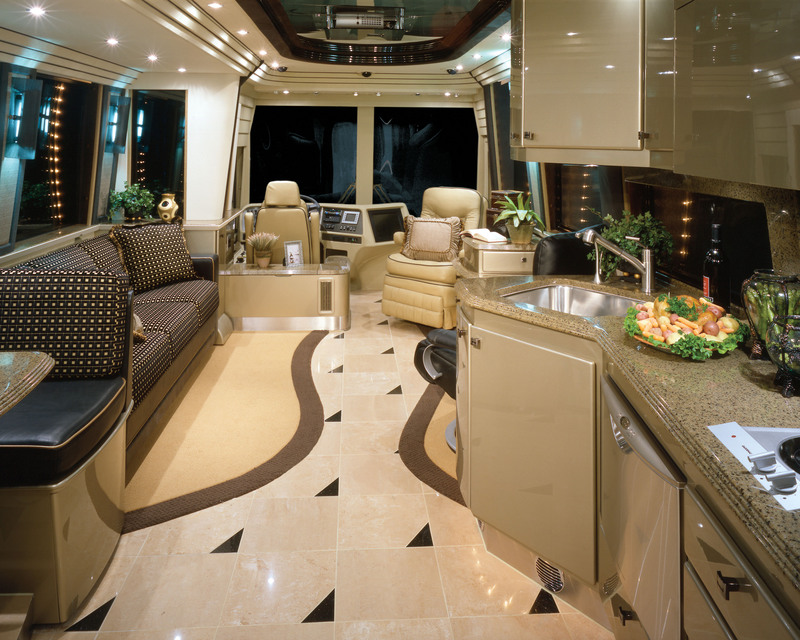 All of our motorcoaches have in-motion satellite systems, DVD, stereos. They also have restrooms, microwave ovens, refrigerators or ice chests on board. You can make your time count by holding meetings while you are transported to your destination. Door to door service saves time and is more convenient. Now the time spent going to the airport and checking bags and the 2 to 3 hours before flight time can be spent going to the destination. No problem with luggage, computers, knives and all the other airport hassle come travel with Private Motorhome USA.